I have this vision of my blog followers barely able to finish reading my blog because they are out the door or on Amazon in search of the new Wild About Books book of the month. In reality, I think there are only two people that do that, my mom and my friend Carol. I was talking to my dad on Father’s day last Sunday and he was mentioning how much he enjoys reading my blog. I said, what about the books I recommend? Do you read the books too? Well, no, he doesn’t. But what he enjoys is reading what I’ve written and that’s bigger than reading from the recommended reading list. Now I have a new vision. This was a fascinating book. A group of scientists travels the world to places that have extraordinary large numbers of people that live to be 100. A healthy 100 years old as well. They interviewed people and tried to determine if there was one common denominator. Now don’t think that I’m trying to fool you into reading a book about the benefits of becoming vegan. That was not the case with most of these centenarians. There was only one group that did not eat meat and that was in Loma Linda, California where a large concentration of Seventh Day Adventist live. This group of people tends to be vegetarian and don’t smoke or drink. There was more to it than that, but Seventh Day Adventists believe in taking care of their body and that the body and spirit are one, so don’t wreck it. The other groups in the book ate meat, but only on special occasions such as certain holidays or celebrations. The meat that they did eat they had usually raised, slaughtered and butchered themselves. The food varieties ranged from rice and tofu in Okinawa, Japan to beans, rice and corn in Costa Rica, to pasta and wine in Sardinia, Italy to olive oil and feta cheese in Ikaria, Greece. All of the places they visited were in warm climates where there was an abundance of fresh fruit and vegetables most of the year. Fresh fruit and vegetables were the main food group for all of these areas of study. Another common theme for these healthy elders was spirituality and community. In Costa Rica, they would work until lunch and then they would visit their friends, neighbors or family. There was lots of visiting in all of the areas that were studied. Everyone had family close by, grandchildren and great-grandchildren to help raise. There was a statistic that your life expediency raises so many years based on the number of daughters you have. Many of the areas studied were early to bed early to rise, until you got to Greece. They slept in and would invite people over for lunch. Those people might show up by 5:00 and then everyone stayed up late visiting, but no one was aware of this awkward time schedule because there weren’t any clocks or watches. No one cared what time it was. They drank so much coffee it was no wonder they stayed up late. The Italians, on the other hand, were drinking wine by lunch. Homemade wine from the grapes in their yard. Lack of stress seemed to be one of the bigger common denominators among the groups. The women had more stress than the men because it was their job to raise the children. There wasn’t a big gap in the women outliving men, it was pretty much equal. Laughter also was a common theme and so was walking. Most of the people were farmers and did daily physical labor. The biggest lesson for me from this book was that the long healthy life was possible due to purpose. Everyone in this book had a purpose all the way to the end of their lives. Always have a purpose in life. You may be the person whose job it is to pray to the deceased family members for the benefit of your living family. You may be responsible for preparing the weekly Sunday meal that all of the family attends or growing the food that feeds the large multigenerational family. The other interesting theme in this book is the influence of the western world and it’s effect on the younger generations. I wonder how many more 100-year-old people there will be in the future now that they have access to fast food places, cars and TV. Even in these utopian islands of longer life, the younger generations are no longer lean. There you have it. A brief synopsis of the July book of the month. Hopefully, this was enough information to inspire you to read the entire book or just enough information to give you a condensed version so that you don’t have to read the book. Relax, enjoy a book or a blog. Visit some friends, call your family, have some coffee and wine. Eat lots of fresh fruit and vegetables and the occasional piece of meat. And go to church. That was a big one, attending church for healthy longevity. I belong to the Church of the Almighty Outdoors. You’re welcome to join me in my communion and appreciation of nature and never-ending gratitude of being surrounded by beauty. Amen. Find more great book recommendations and adventure stories at the Wild About Books Blog. If I lived in Montana I would attend your church! Amen! The fact that I run out and get your books is not because I am your mother, but because you and I have always enjoyed books recommended by each other. Since the beginning of the book club I have so thoroughly enjoyed your picks that I can hardly wait for the next. 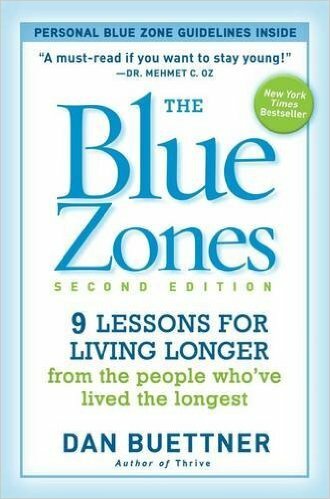 I am familiar with Blue Zones, so once again look forward to the next read. I started a new book today, Far and Away. It was Fared Zakaria’s book of the week about a man who has traveled the world and believes that mankind would benefit by sending our children out in the world (late teens) to experience other cultures. It would do away with shallowness and bigotry. Check it out. I loved that Blog Lisa! Your first line snagged me haha. And I think I’d love the book. We moved here from a city very close to Loma Linda. In fact my job in College was at the very famous hospital there– Loma Linda University Medical Center. Those Seventh Day Adventist know what they are doing…I just can’t do it ALL. Haha. 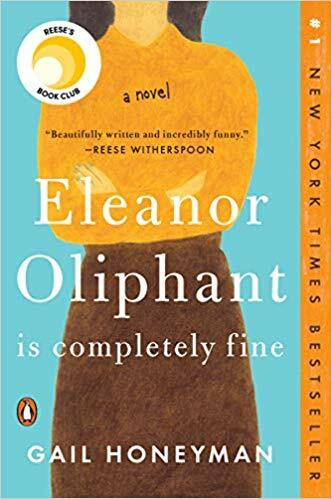 Thanks for the book recommendation. I’ll pick it up! One of my favorites is the book Younger Next Year. Same philosophy and stresses “movement” and cardio every day…every day. A good read.